How much is my property truly worth? What length of time will it take to sell my property? How many properties similar to mine are on the market at present and how many days are they averaging on the market? What is the historical sales price percentage relative to the asking price? How might I go about getting on with my plans for our future in a stress-free and timely manner? What shall I do if a Buyer makes an offer that is not realistic based on our market assessment? Is this Buyer qualified to acquire a loan to purchase my property and do so in the time-framework they have specified? 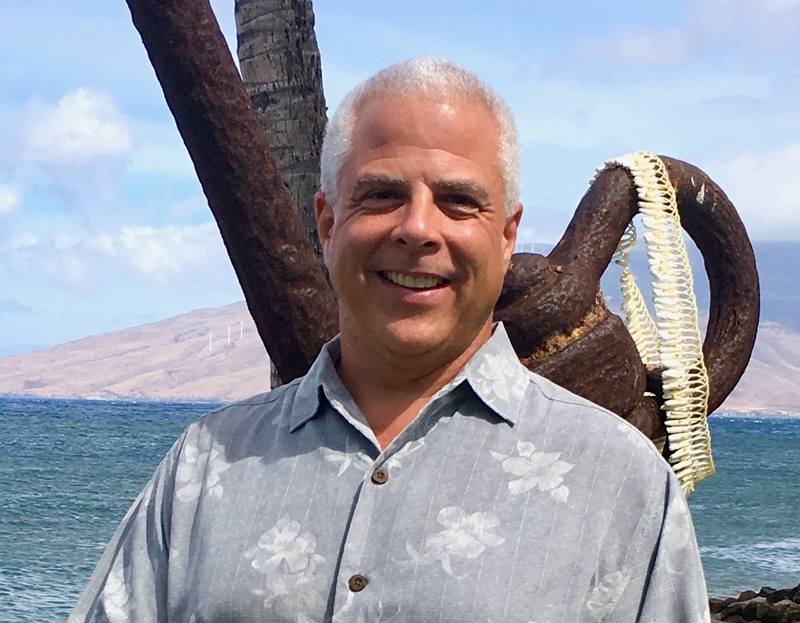 As YOUR Maui Professional Advisor, it is my job to prepare you for questions like these and guide you through the Selling Process utilizing years of experience and up to the minute market knowledge. To Start, together we will do a detailed walk thru analysis of the features and conditions of your property so that we are both in agreement and knowledgeable about what we are selling, its present condition, its noteworthy features, and marketability. Certain improvements are well worth some initial investment to properly present / market your property; others are not, I will be conservative and pro active. It is a given that Buyer’s will want to purchase your property for the lowest price possible. I will Conduct and Review a Comparative Market Analysis of properties in immediate proximity to yours, of similar size and features that have both recently sold or are presently on the market, in order to accurately determine what your property is worth in Today’s market. Most Buyers have their own goals and time frameworks that may not match yours. I will Pre- Qualify Buyers and be sure they are financially qualified to purchase your property so that your time and goals are not negatively impacted! Upon listing your property, I will present your property to my Current Actively Searching Buyers and to my REALTOR Colleague’s Buyers to generate as much interest and hopefully a quick sale. My goal is to be your hero by guiding you through this process from start to well after finish so that you receive the best price possible for your property in a time frame that fits your plans for the future and to accomplish it all in a stress-free manner. The following is MY MARKETING PLAN which based on my proven track record and from my professional experience will bring you the best price possible in today’s market in the shortest amount of time. Remember that I do not receive anything for my service until your property is SOLD and you have received your complete payment from the Buyer! This motivates me to counsel you to accomplish your goals as directly, and efficiently as possible. I acknowledge that you are engaging me to advise you and handle the sale of a major financial asset. You are relying on me, as a trusted financial advisor, in many aspects, similar to an accountant or stockbroker. With that said, simply listing your property and inputting it into the MLS and waiting for the phone to ring is not likely to produce the satisfactory results in a timely manner. I consider your listing a serious responsibility of significant magnitude. Once you have decided to re-deploy your assets, timing is everything. To help you get your property sold. To help put you in the strongest negotiating position possible. To help you get to where you want to go, On Time. To make the entire process easier for you and reduce surprises. Prepare appropriate Full Color Glossy Flyers; Post Cards, Brochures, and on-line Brochures that highlight the features, advantages, and benefits of your property and the surrounding amenities. World Wide Web Internet Presence with Linked Virtual Tour: Presented on ALL of The World's Top Real Estate Web-Sites through my own high profile and top ranking website, www.FindMauiRealEstate.com, along with Google, Yahoo, MSN, and a Preferred Relationship Position on Realtor.com, Zillow, Trulia, and others. Your Property Listing is syndicated automatically to over 900 websites, plus numerous National Real Estate Search Engines, Craig's List, and emailed to potential Buyer's and approximately 1,600 Maui Brokers and Agents, 7,500 additional Hawaii Brokers & Agents around the state and hundreds of Top Agents, Brokerages and Professional Real Estate Organization's databases throughout the mainland United States and Worldwide, to Present and Promote your property. Create a Virtual Tour with high quality, strategically sorted images and descriptive captions of the property, the surrounding neighborhood and amenities, views, beaches and lifestyle considerations. The Virtual Tour is carefully edited so that a potential Buyer and their agent understand the layout and flow of the property, its views, and its relationship to the surrounding areas. 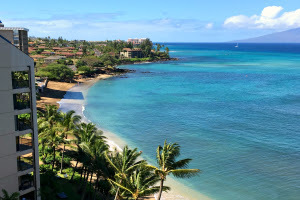 The Virtual Tour is also linked to your listing in the Maui MLS and may be accessed on-line Worldwide anytime. Advertise in Maui Publications, i.e. Homes & Land Magazine, Luxury Real Estate Magazine, and The Maui News Real Estate Section per insertion schedule and contract availability. This print campaign is a key element of a multi-facted marketing program to establish market awareness amongst Maui real estate professionals and those potential Buyers who request information from afar or depart Maui with real estate periodicals. Although your property may not run every edition, the ad is specifically designed to generate phone calls and emails from prospective Buyers and it is my job to match those Buyers with the properties, including yours, that fit their specific needs and desires. Mulitple Listing Service - The Realtor Association of Maui (RAM). List the property with high quality professional photos, plus showing availibilty times, property features, visual tour link, and access availability to maximize the Maui real estate market exposure. Install a Professional Yard Sign on the property with a Direct Number to Call for Showings and Information. Maui Regional REALTOR Caravans to personally introduce the property to the agent attendees at the weekly caravan meeting. Solicit marketing suggestions and feedback to involve other agents in the process of marketing. This is a very highly important event that gives the agents the opportunity to experience the property first hand, discuss its market position, and obtain promotional materials to share with prospective Buyers. Promote, Network, and Remind Maui’s active agents of the property’s availability, features, and advantages and benefits thru regular email reminders advising of Open Houses, price adjustments or important announcements. Create a Promotional Mailing to the other owners in the surrounding area properties or neighborhood, the adjacent subdivisions and or condominium complexes to generate interest and word of mouth awareness of the availability, features, advantages and benefits of the property. Conduct Regular Open Houses if amenable to client and depending on accessibility, at the property to maximize exposure and access to the property. Follow up on Showings with the Buyer's Agent and generate a Follow Up Report that is sent to you, after each showing of the property monitoring market feedback on property comparisons, positives/negatives, offer supportive documents on occupancy rates, gross/net revenues, property management fees (if applicable) and possible creative negotiations with specific buyers. Communicate Regularly or after each showing with the Seller to advise of the marketing progress, market conditions, and comparative properties. Home Presentation is critical to selling a property. I will present your home professionally and work with you to prepare and stage the home for all showings. Routinely Inspect the Property to monitor its condition and marketability. Monitor the Latest Activity including new listing activity, pending properties, and recent sales of the condominium complex or residential subdivision and surrounding areas and make recommended marketing strategy adjustments. Support and Advise Buyer’s Agent(s) of best available avenues to satisfy buyers needs relative to ensuring and facilitating the sale of your property. Pricing your home based on a competitive market analysis, an absorption rate and historical area statistics. This will help you to set the best price on your home so that it will sell within your time frame. Handle Negotiations so you can keep at an arms length but feel confident that your best interests are being represented. Manage the Transaction including but not limited to, coordinating and supervising the escrow process, facilitating inspections and approvals, monitoring the loan process and creating any additional Addendums required to ensure that your contract closes on time. Goal: To exceed my client’s expectations, accomplish YOUR GOALS & be entrusted with your referrals. Throughout the transaction process and as the close of escrow approaches, I will review all documents, inspections, disclosures and contingencies and use my professional experience to ensure a smooth, stress free, timely, successful closing of escrow. You will only sign documents that you and I have carefully considered. I will advise you of all Hawaii real estate statutes that affect your transaction and do my best to be sure you are in compliance. Mahalo for the opportunity to create our mutual success together.